Life’s too short to spend time indoors during the summertime. That’s why backyard decks are ideal for kicking back and soaking up every bit of the warmer weather while it lasts. If you’ve been looking to extend your outdoor comfort at home, here are a few reasons why a new deck makes your life better and why they’re one of the most popular summer projects that we tackle. 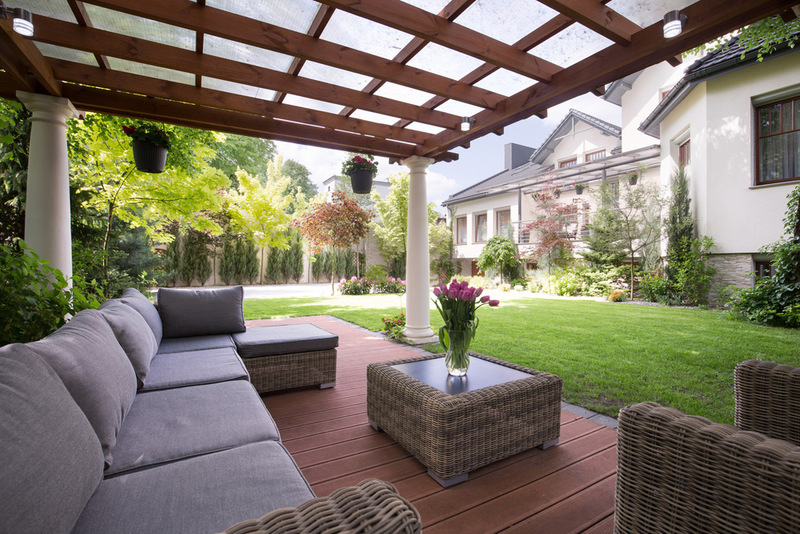 If you plan to sell your home in the future, installing a deck can add more value to your home, especially if it’s well designed and maintained. Homebuyers want a little outdoor luxury these days, a place where they can envision themselves lounging out with their family and friends. So it’s something that can make a lasting impression if you’re planning to sell in the future. Plus, the ROI is estimated at approximately 72%! If you love to play host and invite the extended family, friends, or neighbours over a few times during the summer to fire up the grill, having nothing but a lawn to congregate on isn’t exactly ideal. But this is where a new deck can really make your life better . You can have a convenient platform raised above the ground just enough to create a cozy, intimate outdoor space that’s perfect for entertaining and creating memories at home. A deck is like a blank canvas. It’s the perfect area of the home to get a little creative and really add some personality to your outdoor space. Once it’s installed, you can add in unique pieces of furniture like a lounger or even a hammock if you choose. With a customized deck design and a selection of your favourite plants, lighting, water features, and more, you can create your own little private oasis right at home. So instead of zipping away for the weekend, you can enjoy more stay-cations in the comfort of your luxurious backyard. Beyond the fact that a deck adds more value and square footage to your home, the modern comforts and convenience of it encourage homeowners to spend more time outdoors. You can enjoy your own little slice of nature and instead of being cooped up inside. There are many reasons why a new deck makes your life better, but you can only really understand those benefits once you can experience them for yourself. Adding a deck is a wonderful way to enhance your living space and home value. When you’re ready to have a deck installed, give us a call at Fence Masters!